The Advance-Decline Line (AD Line) is a breadth indicator based on Net Advances, which is the number of advancing stocks less the number of declining stocks. Net Advances is positive when advances exceed declines and negative when declines exceed advances. The AD Line is a cumulative measure of Net Advances, rising when it is positive and falling when it is negative. Chartists can use Net Advances to plot the AD Line for the index and compare it to the performance of the actual index. The AD Line should confirm an advance or a decline with similar movements. Bullish or bearish divergences in the AD Line signal a change in participation that could foreshadow a reversal. The actual value of the AD Line depends on the starting point for the calculation. Since it has to start somewhere, the first calculation for the AD Line is simply Net Advances for one period. Subsequent values are calculated using the AD Line value for the previous period's value plus Net Advances for the current period. The example above shows the AD Line calculation for 25 days beginning on April 15, 2010. The first value is simply Net Advances for that day (-93). The second value is lower because Net Advances for April 16th was negative (-1899). The AD Line moved lower until Net Advances turned positive on April 20th (+1934). Even though the actual value of the AD Line would be different if it began in January 2009, the shape of the line for this calculation period would be exactly the same. It simply rises and falls as Net Advances rises and falls. The shape and direction of the AD Line are important, not the actual value. The AD Line measures the degree of participation in an advance or a decline. An AD Line that rises and records new highs along with the underlying index shows strong participation that is bullish. An AD Line that fails to keep pace with the underlying index and confirm new highs shows narrowing participation. Market strength is undermined when fewer stocks participate in an advance. Narrowing participation is often identified with a bearish divergence between the AD Line and the underlying index. On the downside, the market is considered weak when the AD Line moves to new lows along with the underlying index. This reflects broad participation in the decline. A bullish divergence forms when the AD Line fails to record a lower low along with the index. This means fewer stocks are declining and the decline in the index may be nearing an end. Chart 2 shows a bullish divergence in the NYSE AD Line. Because the NYSE AD Line is based on the advance-decline statistics from the NYSE, it makes sense to compare its performance to the NYSE Composite. A bullish divergence formed in June-July 2009 when the NYSE Composite moved below its June low and the NYSE AD Line formed a higher low. Even though this bullish divergence is rather small and only encompasses a few weeks of trading, it foreshadowed an important low in July 2009. The NYSE Composite advanced over 10% from its July low to its August high. Larger bullish divergences can be found from October 2002 to March 2003 and from May 2004 to August 2004. These divergences foreshadowed important lows in the stock market. Chart 3 shows two bearish divergences in the NYSE AD Line from June to November 2007. The NYSE Composite moved to new highs in July, but the AD Line peaked at the beginning of June. The lower high in the AD Line in July 2007 set up the first bearish divergence because breadth did not confirm the index. The NYSE Composite surged again to new highs in October, but the AD Line fell well short of its July high and formed another bearish divergence in October. Actually, there are two bearish divergences at work here. First, the AD Line did not exceed its summer highs. Second, the AD Line formed a lower high from early October to late October. With the NYSE Composite forges higher highs during these timeframes, bearish divergences took shape because breadth did not confirm. This string of bearish divergences foreshadowed the January support break and the bear market of 2008. The advance-decline statistics have a few quirks that chartists should understand. First, the Nasdaq AD Line can fall for extended periods, even if the Nasdaq itself is rising. This is because Nasdaq listing requirements are not as strict as NYSE listing requirements. The Nasdaq is full of upstarts in industries ranging from biotech to technology to alternative energy. There may be huge upside potential, but there is also a risk of absolute failure. This means more Nasdaq stocks are prone to delisting. Companies that fail are removed from the index and replaced, but their negative effect on the AD Line remains. Chart 4 shows the Nasdaq AD Line declining even as the Nasdaq advanced from 2010 until 2012. The AD Line turned up and advanced along with the Nasdaq in 2013, but turned down in 2014 and did not follow the Nasdaq higher. Second, the advance-decline statistics favor small-cap and mid-cap stocks over large-cap stocks. Thousands of stocks trade on the Nasdaq and NYSE every day and the vast majority of these stocks are small- and mid-cap. Relatively few are large-caps. Regardless of market cap or volume, an advance counts as +1 and a decline counts as -1. This means that an advance in ExxonMobil, with a market capitalization in excess of $200 billion and average daily volume in excess of 20 million shares, counts the same as an advance in Teco Energy, which has a market capitalization less than $5 billion and average daily volume around 2 million shares. The AD Line is the great equalizer. The AD Line is a breadth indicator that reflects participation. A broad-based advance shows underlying strength that lifts most boats. This is bullish. A narrow advance shows a relatively mixed market that is selective. Narrowness participation in an advance (or decline) sets up the divergence signals. An advance with narrow participation is unlikely to keep up with the underlying index and a bearish divergence will form. Similarly, a decline with few stocks participating is unlikely to keep up with the index and a bullish divergence will form. These divergences can help chartists identify potential reversals in the underlying index. 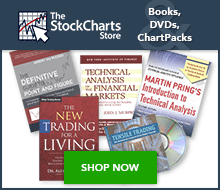 The AD Line can be created on SharpCharts for the Amex, Vancouver, Nasdaq, NYSE or Toronto stock exchanges. Check our Index and Market Indicator Catalog for available symbols. First, enter the symbol for Net Advances of the desired index. Second, change the chart “type” to “cumulative.” Click “update” to create the AD Line. SharpCharts users can also add the underlying index by selecting “price” under “indicators,” entering the index symbol for “parameters” and positioning the index “behind price.” The index can also be set below the AD Line. Users can choose a different color to contrast the index or add a moving average to the AD Line. The example below shows the NYSE AD Line with the NYSE Composite in gray behind the AD Line. Net Advances are also shown in the indicator window as a histogram chart to see the daily fluctuations. A solid 1-day SMA was added to better highlight the AD Line. Click here for a live example. StockCharts.com users can find a list of symbols for Net Advances and AD Percent using the symbol catalog. Both indicators can be used to create AD Lines. Simply search for “advance and decline -volume” (without quotation marks). The “and” means both terms are required and the minus sign before volume means this term must be excluded from the results. The image below shows a partial list of symbols. Click here for an up-to-date list.